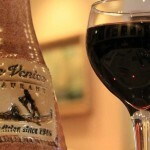 Dinner club is for current STYP members a first time guests. Join now. Wasn’t it the best when mom made you mac and cheese on a snowy day or when you made the blue box with your college roommates after studying all night? 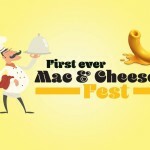 Well, we’re putting a spin on an American favorite by seeing who can create the BEST mac and cheese in the area. This will be a competition among your favorite restaurants and not to be missed! STYP will be helping the Binghamton Rescue Mission with the rehabilitation of their shed! The rehabilitation of the shed, which is located behind the Rescue Mission’s main residential building, will involve volunteers replacing gutters, drain spouts, and the door. Volunteers will also add a fresh coat of paint to the shed’s exterior, clean out the interior, and aid in wood removal and replacement. Items will be returned and reorganized within the shed upon completion. STYP will need approximately 6-8 volunteers to help with this project, so if you are interested in participating, please contact Kyle Nedlik at kbnedlik@gmail.com. 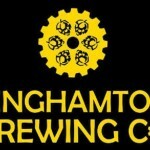 Join STYP for a mixer at Binghamton Brewing Co. Specials to come hope to see you there!